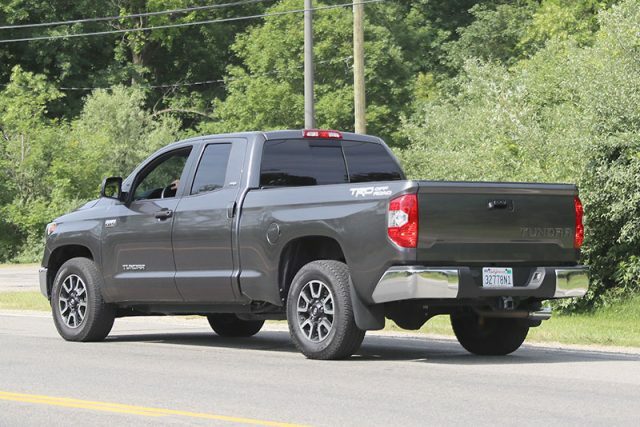 This can’t be the new generation Toyota Tundra because it’s too early for any kind of prototype, but it’s not the facelifted version of the truck either. 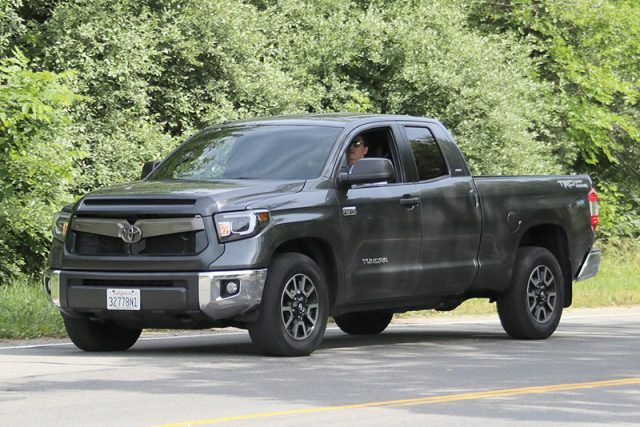 The prototype you see here could be a new trim level, which might be named the 2018 Toyota Tundra Camry. Yes, the chances of using “Camry” badge on any kind of truck seem small, yet how do you explain this new grille? As you can notice, the 2018 Tundra uses the same grille as the new generation Camry. However, everything else appears to be identical to the updated pickup that’s recently introduced. According to Toyota spokesman Curt McAllister, the Camry-like grille isn’t something you would see anytime soon at the production model, but we highly doubt in the statement, simply because the grille fits perfectly to the truck. The Camry grille might be specially intended for the V8 model. 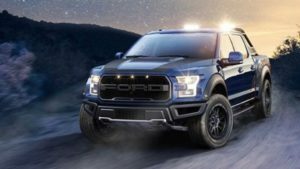 More precisely, it opens up some additional space for air intakes, which boosts pickups airflow. Styling-wise, we have to say that the grille isn’t too charming at all. It fits perfectly to the new generation Camry, but it’s not the most handsome piece of metal we ever saw. 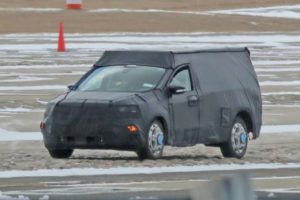 So, what do you think, is this the 2018 Toyota Tundra Camry, or something else?